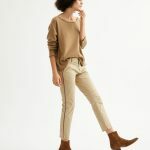 Sweatshirts are good for lounging, of course, but I like them layered under coats and jackets for a casual-chic kind of a look. (It’s a look I overdid about a decade ago, but I’m feeling ready to re-embrace it.) I love this, with Zoe Karssen’s trademark bat. Here’s one I actually own. It reminds me of prep school—not always a good thing—but in a nice way. The message that never gets old. The side-zipper here is just aces. And of course I’m all over this because it’s blue and black, a combination I love. This reminds me of the Agnes B snap cardigans that were so big in the 80s. 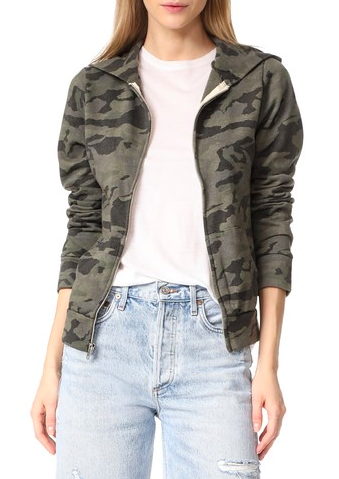 A camo choce, but of course. This is actually a dress if you can believe it, but I like the idea of wearing it with leather leggings. And finally, a splurgy choice from Comme des Garcons that I have wanted for years but can’t quite bring myself to spring for. 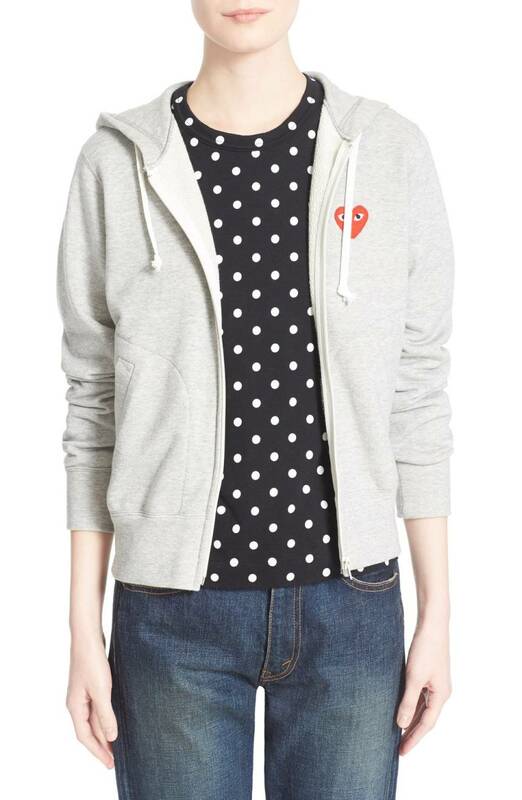 The Comme des Garcons Play line makes me INSANE with want, but I can never quite justify it. It’s my favorite of the bunch, though. The Comme des Garcons Play line makes me INSANE with want, but I can never quite justify it. It's my favorite of the bunch, though. Insane with want. Very funny. i remember those agnes b. cardigans! 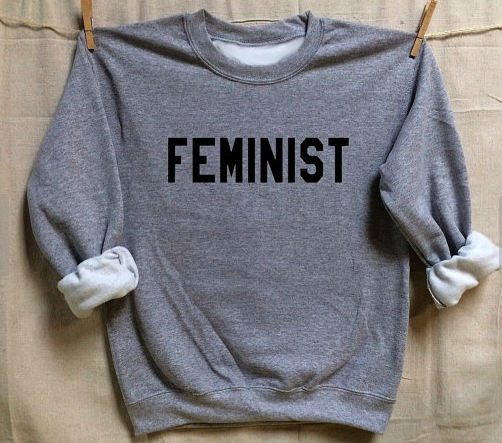 The FEMINIST sweatshirt is so good. 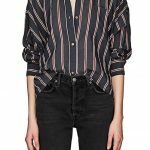 The material is great and it’s kinda slouchy in the shoulders – it’s also bat wing-like. Recently, it’s my go-to sweatshirt. The FEMINIST sweatshirt is so good. The material is great and it's kinda slouchy in the shoulders - it's also bat wing-like. Recently, it's my go-to sweatshirt. YES! I got the Feminist AF one from that Etsy site last year and wear it constantly. Brings me joy. I got the very one you show, Kim, and I can attest to its softness, not too tight neck, and quality for the price of a few Starbucks! Am I the only one who remembers Zoran’s great sweatshirts? Best Italian cotton fabric, came in red, white and black with pull-on skirts and pants to match/coordinate. The ultimate in chic casual. Am I the only one who remembers Zoran's great sweatshirts? Best Italian cotton fabric, came in red, white and black with pull-on skirts and pants to match/coordinate. The ultimate in chic casual. 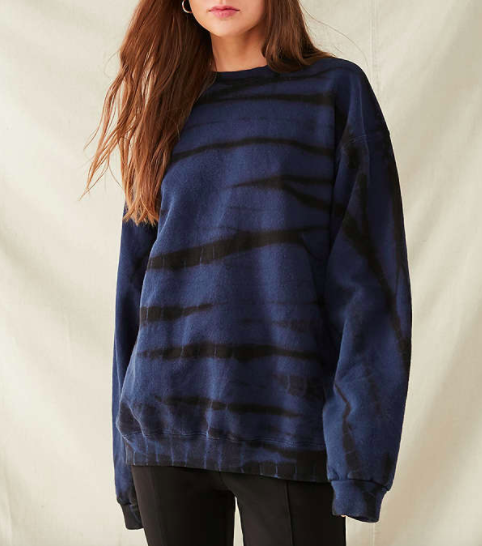 Want the Zoe Karrsen bat sweatshirt badly. Also, Comme de Garcons. But who doesn’t. 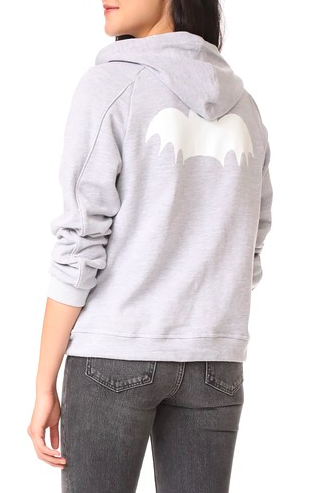 Want the Zoe Karrsen bat sweatshirt badly. Also, Comme de Garcons. But who doesn't. Sadly, I got rid of mine…but what a testament to quality! Sadly, I got rid of mine...but what a testament to quality! I still wear my agnes b cardigans. I think they are chic and timeless. That red sweat dress is right up my 8th grade self’s alley, I had a turquoise version sans hood. That red sweat dress is right up my 8th grade self's alley, I had a turquoise version sans hood. 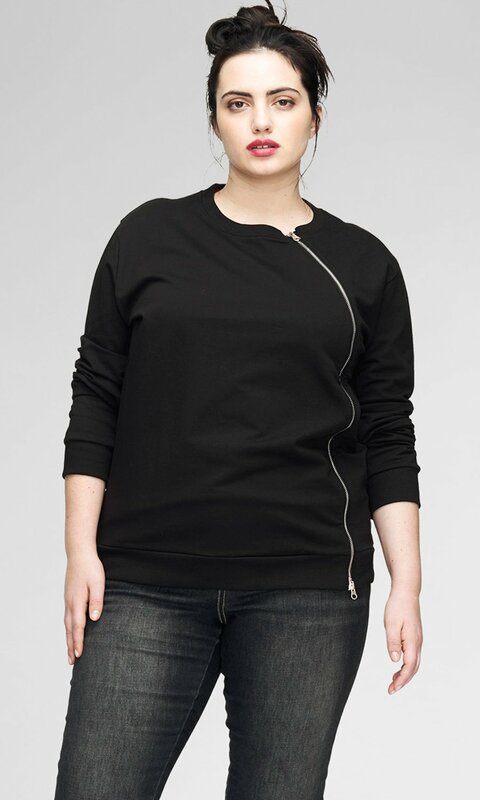 I am desperate for a new black hoodie – not super athletic with white strings, but all black. Advice welcomed! I am desperate for a new black hoodie - not super athletic with white strings, but all black. Advice welcomed!